Fishing Permits can be purchased in Duck Valley at the store and tribal headquarters, the Fishing Hole in Bruneau, and in Boise at Sportsman’s Warehouse, Idaho Angler, and Cabela’s. Permits are $18 per day. Primitive campsites are $10 per day, and campsites with electricity and water are $15 per day and require a reservation. Reservations have to be made at the Owyhee Ace Hardware Store (775) 757-2305 (next to the grocery store. The early spring can get busy at Duck Valley so make your reservations early if you want a site with power. BVFF will be the guest host at this month's Woolly Buggers youth fly fishing club meeting. This is an early announcement for the annual BVFF Bruneau Dunes outing. More information will be available at a later date. NOTE: This park is popular in the spring. You should make reservations for a campsite ASAP if you intend to go. (There is no longer a group campsite). See web link below to make reservations. This event is a BVFF sponsored event in collaboration with the Women Fly Fishers of Idaho (WFFI) fly fishing club! There is a $5 entrance fee/vehicle/day and an extra vehicle fee of $5/night. 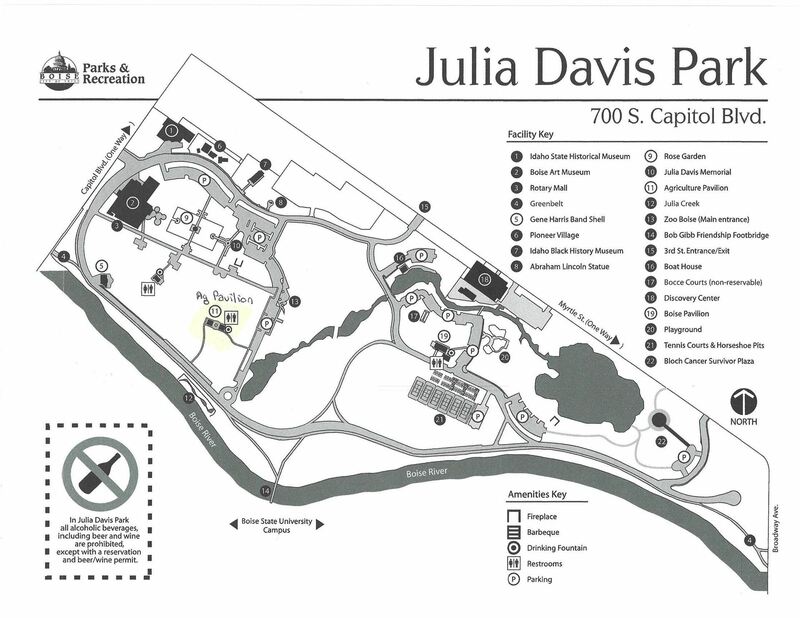 If you have the Idaho Park Pass, you get into the park for free. This is a great family time and social event with large Bluegill and Bass fishing. Beside the pond at the sand dunes there is excellent fishing at the Snake River, Cove Arm, Crane Falls, Bruneau River and CJ Strike Reservoir. Bring your float tube or pontoon boat. In the past Pico Spiders, Pico Blanco’s (aka Blanco Pico), white spiders, small bass plugs, mouse patterns, and Stayner Ducktails have been productive, but check with the local fly shops for recommended flies. Group BBQ will be held on Saturday May 18 at group shelter in the park. You need a campsite for yourself, you will need to reserve a site right away. You can reserve your campsite online at: http://parksandrecreation.idaho.gov/. This is an Idaho 2 Fly event, not sponsored by BVFF. This is a notification calendar entry. The event will be held at Ron Sali's ranch on Eagle Island, with a private 100 acre lake, and is limited to 50 anglers. The entry fee for this Idaho2Fly fund raising event is $500. 30" rainbow trout and 10 Lb largemouth bass in the lake! 6 hours of dry fly or wet fly fishing in a fun and friendly derby. 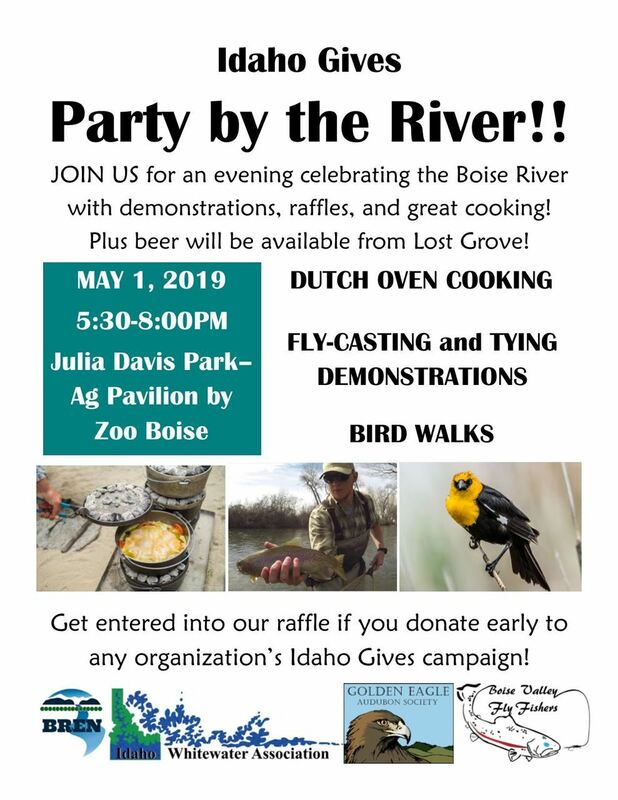 For more information, go to www.Idaho2Fly.org, or the event link for 2019 Idaho2Fly Derby. The funds raised by this event help support the Idaho2Fly retreats and support services for Idaho men with cancer. BVFF is a supporter of Idaho2Fly. 09 Aug 2018 Family Book Reading & Signing: "Down By the River"
09 Nov 2017 Patagonia - Is it on your Bucket List ? 14 Jan 2017 2017 WIFFE - Bear Hair Fly Tying Presentation! 14 Jan 2016 NO MEETING THIS MONTH ! 08 Oct 2015 Alaska: Do It Yourself Wilderness Fishing!